The most recent edition of the Crime Stoppers television program "Hawaii Island’s Most Wanted" features seven missing persons. The new episode begins airing Friday, October 31. Marlo Moku, 33, of Hilo, who was last seen at a convenience store in the lower Kaumana Drive area of Hilo on September 23. On October 10, police located her car at the bottom of a 120-foot cliff in Hakalau. 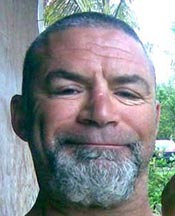 Willie Eriksson, 43, of Hilo, who was last seen on November 7, 2007, at a general store in the Mountain View area of Puna. Detectives have not ruled out foul play in his disappearance. Patricia Alene Kenny, 57, of Port Townsend, Washington, who was last seen in the Hawaiian Paradise Park subdivision of Puna on August 30. Four days later, police found her rental car on Shell Road in the Nanawale Estates subdivision. Cory Robert Green, 40, of Colorado, who reportedly planned to move to Hawaii Island on June 1 to seek employment. 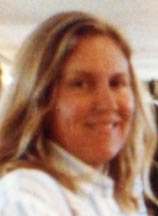 Kimberly Ann Cardarella, 36, of Kalapana Seaview Estates, who was reported missing on August 2, 2007. Frank Ng, 28, of Kamuela, who was reported missing on February 13. 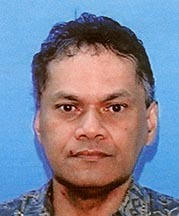 Leslie DeloSantos, 58, of Onomea, who was last seen by a neighbor on January 2, 2007, on the Onomea Scenic Route. The host of "Hawaii Island’s Most Wanted," Assistant Chief Henry Tavares, asks anyone with information about the missing persons to call the Police Department’s non-emergency line at 935-3311 or Crime Stoppers at 961-8300 in Hilo and 329-8181 in Kona. All Crime Stoppers calls are kept confidential. Crime Stoppers does not tape record phone calls or subscribe to caller ID.